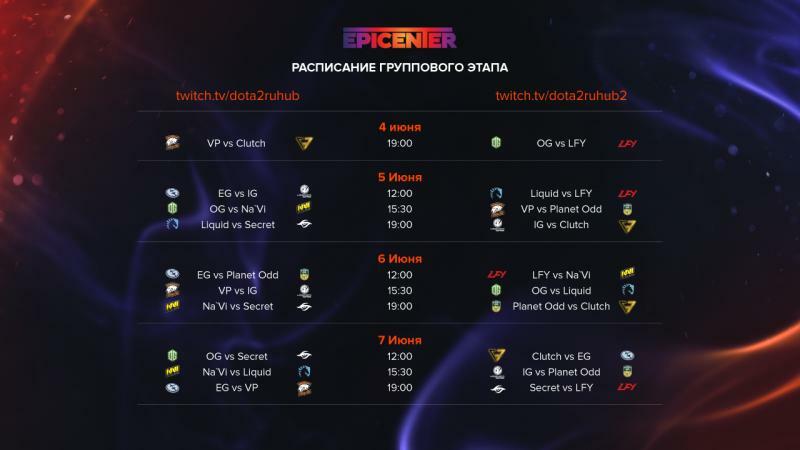 The schedule of the EPICENTER: Moscow group stage is ready. The group stage starts on June 4 at 18:00 CET. Virtus.pro will face Clutch Gamers in the opening match. The games will be broadcasted on two channels at the same time. All the matches will be held in the bo3 format. Follow us, be in the epicenter!